“I have been in electrical testing for the past 15 years and have worked for NETA shops and utilities. The booket is excellent for a beginner as well as a seasoned test technician. I purchased this for a look at another’s perspective on end to end relay testing. 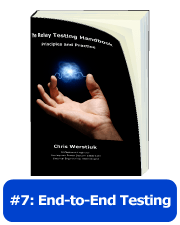 Included are test plans, connections, procedures and testing philosophies.The user will find an overview of nearly all of the popular protection strategies as well as a very helpful overview chart. We just finished an update to this book and will be releasing an updated version later this year. If you wrote this review, please send us an email and we will send you a free copy of the new book and some swag. We want to know if you’ve found a problem as well. If you see a mistake, please contact us at [email protected] so we can correct it in the next release and send you a copy of the updated book. Send us your reviews or comments and we’ll send you come nice swag.